The system automatically checks your profile for new uploads. When you post a new picture, it will automatically start receiving likes from us in about 5-30 minutes! The system automatically checks your profile for new uploads. When you post a new video, it will automatically start receiving Views + Impressions from us in about 5-30 minutes! This service automatically, starts immediately after ordering. 30 days guarantee (refill) ! Speed = 50-500 followers in a day. This service automatically, starts immediately after ordering. IF DROP - NO REFILL! YOU CAN LOST ALL FOLLOWERS! This service automatically, starts in 12-36 hours after ordering. 20 days guarantee (refill) ! But 10-20% drop its normal. The service is automatic. Execution begins immediately after the order (no more than 5-10 minutes). Please do not make several orders for husks at 1 photo at a time. This will kill the queue and prevent the orders from being executed correctly. 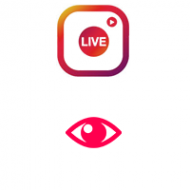 Live users will enjoy the Instagram photo you specified. Remember that the likes correctly executed profile must be open! If you have a closed profile, open it before ordering! Due to the high speed of the likes can be done more than ordered! The service is automatic. Execution begins immediately after the order (no more than 5-10 minutes). Please do not make several orders for likes at 1 photo at a time. This will kill the queue and prevent the orders from being executed correctly. 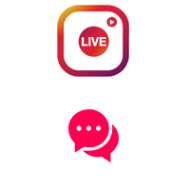 Live users will enjoy the Instagram photo you specified. Remember that the likes correctly executed profile must be open! If you have a closed profile, open it before ordering! Due to the high speed of the likes can be done more than ordered! This service automatically, starts immediately after ordering. Views go to the all NEW last stories, if there are several of them on the account! This service automatically, starts immediately after ordering. Views go to the last story, if there are several of them on the account! This service automatically, starts immediately after ordering. Profile Visits = 20% to 30% of Ordered Amount ! 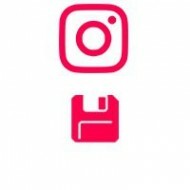 With the development of gadgets that allow you to make high-quality and interesting photos, the number of Instagram users has increased dramatically. In September 2015, already 400 million people had the opportunity to present in this social network photo reports about their lives. 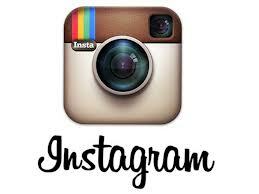 Today among social networking resources Instagram is one of the most fashionable and popular. 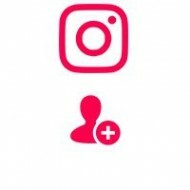 As a result, the popularity of a single account is very highly appreciated here, which can easily be realized if you order promotion in Instagram. 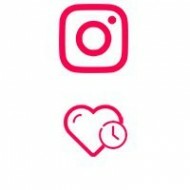 Promotion Instagram account is determined by many factors. This, of course, affects the contents of your photos. Your photogenicity, the circumstances under which the photo is made, and the quality of the subsequent image processing determine your rating. 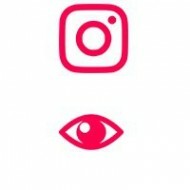 But in order to interest the majority of users, you still need the initial promotion of Instagram. • Likes to the photo - simple and intuitive indicator of the interestingness of your photo. To get a positive evaluation from real users, it's enough to order the wrapping of the Happy Labels, and you will instantly improve your rating. • Following the classic rules of advertising, the discussion of your photo or video can significantly increase interest in it. 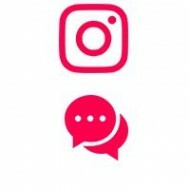 Therefore, we offer a promotion service in Instagram, providing the necessary comments. You can specify commented photos (video), as well as specify topics or even comment text. • If you consistently post interesting content, then you have regular subscribers interested in your life. For many, this is the most important criterion for the promotion of the Instagram account. At us you can order a certain number of subscribers who will contribute to expanding the scope of your influence. 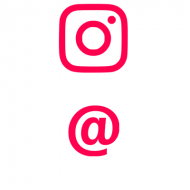 A feature of the Instagram service we provide is the use of off-line accounts. 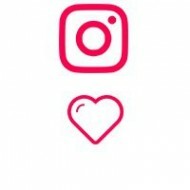 This means that all the likes, comments and subscriptions will come from real users who actively use the Instagram. Now that you know how to move into the Instagram, we are ready to provide you with the necessary services in accordance with your needs.